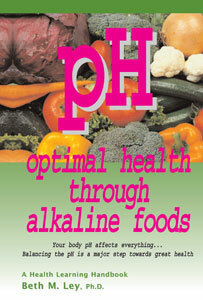 Having a properly pH balanced body has a number of health benefits. Your skin is more elastic, you sleep better, you have more energy, you suffer from sickness less frequently, your digestive system works at its best, and you may see a reduction in arthritis, candida overgrowth, osteoporosis, acid reflux and numerous other health problems. You even discourage cancer cells from growing in your your body! Check out these important tools to help alkalize your body.